Species 8472. 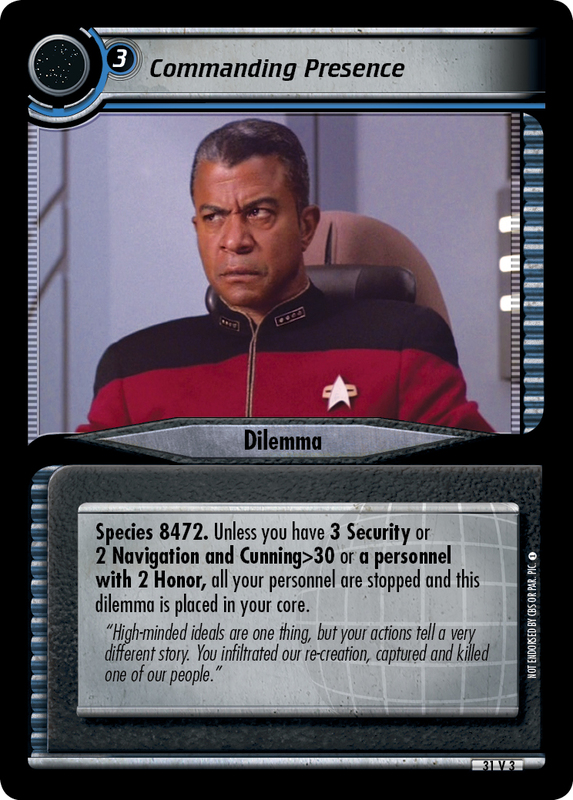 Choose a personnel with 2 Transporters or a personnel with 2 Treachery to be stopped. If you cannot, place this dilemma in your core. "...this is his third time this week. If it happens again, they'll pull him out of training."